My new favorite Christmas story! I made the correct choice in choosing to listen to the Audible version of the book. Imagine my delight at finding out the actress of a show I'm loving was the narrator! This story was the kind that makes you breathless and breaks your heart several times. It will be a book I read more than once! Keeping my fingers crossed for a movie so that I can watch it over and over at Christmas too! I read an excerpt of this book and was excited to get the whole book. It was a fun story, however I have decided that I don't care for this particular narrator (whom I have listened to before). 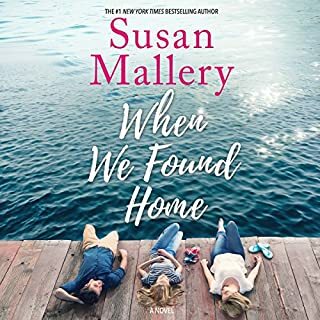 I have read and listened to many Susan Mallery books but may just stick to reading from now on. Love these kind of hometown, 2nd chance stories! Can't wait for more in this series. I especially enjoyed the Author interview at the end. I loved everything about this book. The author presented the story wonderfully. 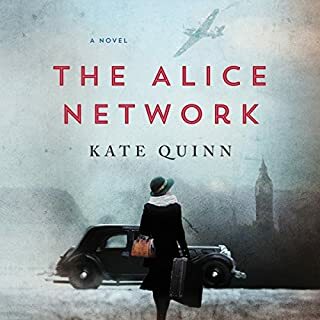 I enjoyed the two stories woven together and the courage of all of the women. She did a great job with supporting characters and the inclusion of the history was the bow on top. I also enjoyed that the story spanned WWI and WWII. The narrator was great, she really made the accents and language come alive. One minute Tegan Lawson has everything she could hope for: an adoring husband, Gabe, and a baby on the way. The next a patch of black ice causes a devastating accident that will change her life in ways she never could have imagined. Tegan is consumed by grief - not to mention her anger toward Gabe, who was driving on the night of the crash. 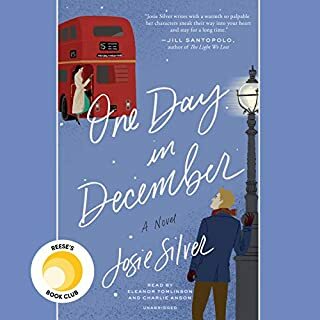 But just when she thinks she's hit rock bottom, Gabe reminds her of their Jar of Spontaneity, a collection of their dream destinations and experiences, and so begins an adventure of a lifetime. Powerful and much much more! I couldn't stop listening! Tegan and Gabe's story was beautiful and heartbreaking. The author did such a great job of making the reader feel all of the emotions, from anger and anguish to hope and peace. My favorite was the journey they took and the places they visited! I felt like I was right there for the ride. 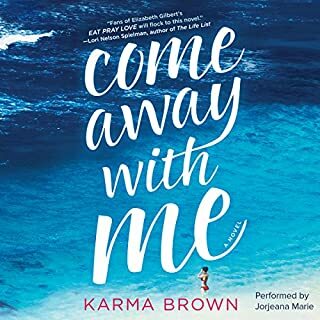 Can't wait for more from Karma Brown!